Gabriel Malika has been living in the Middle East for more than a decade. From Beirut through Jeddah to Karachi, he has absorbed the beauty and complexity of this tumultuous region. 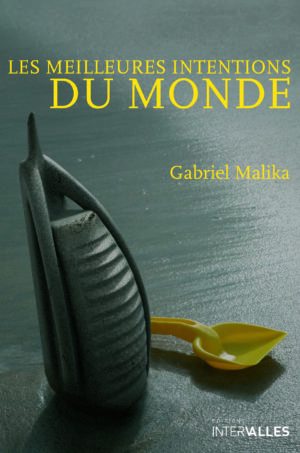 After the success of Les Meilleures Intentions du monde (With the Best Intentions in the World), published in 2011 by editions Intervalles, Qatarina is his second novel. Gabriel is a young and ambitious designer. After reaping the benefits of successful business deals in Saudi Arabia, he moves to Dubai to kick start a career in photography. There he befriends the patriarch of the Al Firas family, the owner of most shoppings malls in town and whose saga mirrors the exponential growth of the Arabian metropolis. One day, Khalid Al Firas decides to organise a lottery which rewards the winners with a luxury holiday cruise on the Strait of Hormuz. Six people, from France, Saudi Arabia, Pakistan, the US, Lebanon and Iran, get the golden ticket. Aboard the “Safineth”, the passengers are informed that a tsunami coming from the Iranian coast is fast heading their way. While the ship weathers the storm, the lucky winners can only witness the destruction of Dubai from the deck. The artificial ‘The World’ island and the Atlantis hotel are soon submerged by the huge wave. The whole world watch flabbergasted and wonder how this natural disaster could ever have occurred. Convinced that such a catastrophe is not a coincidence, Al Firas asks Gabriel to enquire about the passengers’ lives. So, Christophe, Samana, Toni, Sharon, Saeed and Gamzeh are going to reveal their family stories and the reasons which have driven them to Dubai. The account of their existence draws an impressive mosaic of the Middle East plunging the reader in the traditions of this part of the world. Their moving testimonies feature Dubai as a city where feelings and human relations are put to the test and where love inevitably crashes onto its immaculate shores. The novel is a hyperbole that depicts the grandness and decadence of a city built on sand that tries ever so hard to portray a different image of the Arabian world at the expense of losing its soul, identity and integrity.